At Royal IHC, we have the knowledge and experience to rise to the challenges facing the industry by providing cutting-edge solutions to our customers worldwide. IHC prides itself on providing robust and reliable solutions for every stage of an offshore wind farm’s life cycle. 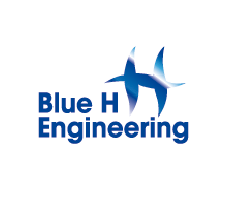 It all starts with the planning and financing phase, we can provide structural and hydrodynamic analyses, marine operations engineering and equipment design. Our independent subsidiary, Vuyk Engineering Rotterdam, is highly experienced in this sector and has an extensive track record in the offshore oil and gas, and wind sectors. During the installations phase, IHC can design, build and integrate any mission critical equipment and tooling required for foundations and turbines. Our extensive operational know-how enables us to optimise our jack-up designs resulting in a self- elevating platform with an efficient deck layout and full integration of hydraulic systems for jacking and lifting tools. To cope with the increasing weight of foundations, we also design and build efficient floating heavy-lift solutions. IHC IQIP is a market leader for the delivery of large diameter hammers, which are used to install the industry’s largest monopoles. IHC IQIP also provides solutions for deck handling equipment and the installations other foundations types. In the cable-laying market IHC can offer engineering services, cable-laying systems, carousels or fully integrated cable-laying vessels. Furthermore we have over 15 years success in the supply of trenching machines and ploughs for burial of fiber optic and power cables in the subsea industry. Our award-winning Hi-traq trencher is ideal for projects in the harsh environments typical to the offshore wind industry. It is equipped with a unique self-levelling suspension system for the installation and burial of power cables. It can perform both jetting and mechanical cutting operations. IHC has designed a service operation vessel with crew, passenger safety and a comfortable living and working environment in mind. Furthermore we kept vessel the efficiency in terms of workflow and propulsion in mind. We use our extensive track record in mooring systems for FPUs for the development of cost-effective solutions for the mooring of floating wind turbines. IHC’s patented blade tool enables heavy-lift vessels to install turbine blades in wind speeds of up to 15 metre per second and at an angle proportional to the horizon. This significantly increases the operational profile of the vessel.